Today, several nations and organizations employ risk-based approaches to analyze the level of security in military operations. There are strengths to applying risk-based approaches to support military decisions, but there are also challenges. Many of these challenges are not recognized in doctrines or handbooks. For civilian risk-based approaches, an important discussion exists on the strengths and weaknesses of approaches and tools used. However, the discussions on problems or limitations with military approaches are few. From experience with civilian risk-based approaches, it is clear that the safety culture, in general, will affect both risk management and risk communication. A military unit often trains for both warfighting and peacekeeping, two activities that require completely different cultures and risk understanding. Therefore, there are substantial challenges for risk communication within a military context relative to the organizational culture. Both the areas presented above and research show that the challenge for military organizations in relation to risk management is a challenge on how the risk understanding should be related to the specific organization’s tasks and context. Although the traditional pedagogic view on risk communication, in which the receiver must be taught “the right risk understanding”, has been abandoned, there are still important pedagogic aspects of risk communication to investigate, especially in inter-organization communication. 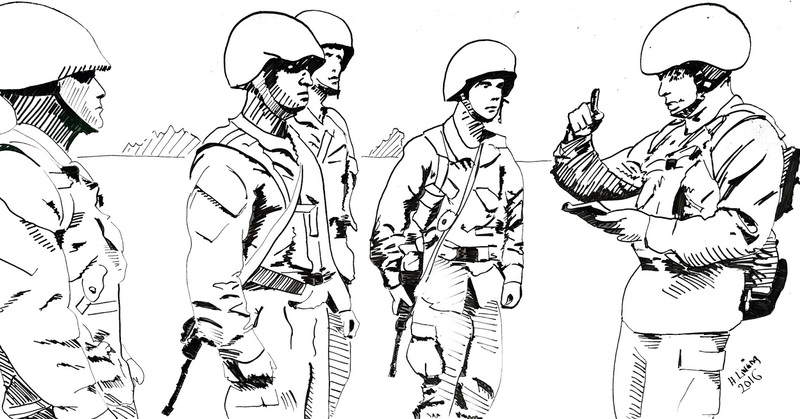 The aim of this study was to increase the understanding of risk communication in the military context and to describe how a military organization should train to create a good environment for effective risk communication. Therefore, this study analyzes military risk and risk communication in relation to ontology, epistemology, communication, and leadership to identify central pedagogical aspects of risk communication so these aspects can be implemented in military education and training. The study focuses on the needs presented by communicating the risk analysis results to a military decision-maker. However, other types of military risk communication are also touched on in the discussion. The risk management doctrines are formative to their nature, but to a large extent they limit their formative aspects to the form of the risk management, i.e., a process description, and leave the risk understanding ungoverned. In the study, it is identified that many challenges relate to this ungoverned risk understanding and how it is shared but also to whether it is dynamic. The understanding must be dynamic, but the form of the risk management must also be dynamic and able to change if the decision settings change. This study has studied the inter-organizational aspects of risk between the analyst and the decision maker where all involved parties exist within the same organization. This means that all involved have a possibility to prepare. However, there is also a need for military organizations to perform risk communication to the public and from the decision maker to military personnel in general. In such cases, the pedagogic challenges are different. The relevant areas are most likely the same but cannot be overcome by preparing the different involved parties. 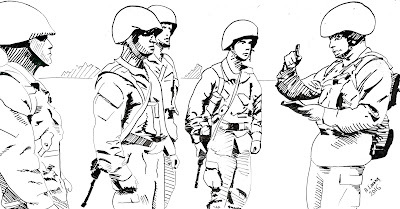 For example, when communicating military risk to the public, the “risk communicator” must try to capture the risk understanding of the public and must adapt and perform a dialog. This creates even more challenging demands for a developed risk understanding and for the communicator to be able to articulate their understanding in the communication. Both military personnel in general and the public need to make decisions from time to time in which risk information from military decision makers is a factor. If this information needs to be used constructively, the receiver of the risk information needs to be able to understand the magnitude of the risk. If the risk information is not precise or understood as such, the persons involved will resort to traditional gut feelings that are influenced by past experiences and emotion for making risk management decisions. If the value of the risk information shall inform decisions, there is a need for the public, military personnel and decision makers to be accustomed to discussing risk. How this is achieved depends on how risk and risk information is perceived. In a regulatory prescriptive setting, the value and results of a risk assessment can be reduced to a number (risk estimate = consequence × probability) that is compared to an acceptable level of risk; if the risk is lower than the set limit, a solution or an alternative is deemed as safe and can be used. However, in a dynamic setting, a risk assessment could and should be allowed to contribute holistically to understanding the decision context, i.e., the risk assessment is one way to explore the options and learn more about them. In such cases, the first of the aspects that should be included in the analysis and be involved in the assessment output is information about the uncertainties, which then also connects the output to the assumptions made and the system understanding used. A more comprehensive approach on how to understand the contributions from risk management is also in line with scholars’ descriptions of the “New View” of safety, with its emphasis on whole systems and on the connection between the social and the artefactual as well as the need for “applying systems thinking on complex crisis situations to gain holistic understandings of the operational environments”. It is also likely that an exploratory use of risk assessments will support the warfighter's ambitions to view risk management thinking as a “battle appreciation” rather than a constraint. The study shows that the organization’s risk understanding is central. The risk management processes selected should, however, reflect the risk understanding used in the organization. The risk understanding of the organization will, for example, govern which consequences are studied and will, therefore, guide the tool selection. It is therefore important for the organization to define and consistently use a shared risk understanding. Such a shared risk understanding will need a systematic development process that focuses on education and training for the future decision makers and analysts. This education and training cannot limit itself to merely describing the form of the risk management process. To reach understanding, all involved parties must have the chance to identify the problem, reflect on its implications, test different solutions and develop a solution. Civilian work has shown that using well-developed examples that include relevant risk levels, uncertainty and variability are effective to achieve this. The pedagogical considerations in relation to risk communication within military decision-making are thus a pedagogical challenge that is related more to philosophy and, in particular, epistemology than to the organizations’ processes and tools. Liwång, H. (2017) Risk Communication within militarydecision-making: pedagogic considerations. Defense and Security Analysis, 2017,Vol 33 no 1. Do you understand the concept of risk?